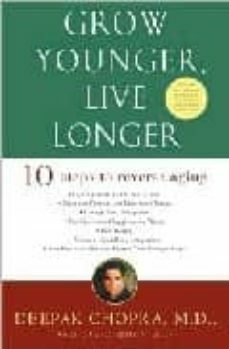 Grow Younger, Live Longer is a complete manual for renewal. In these pages you will find a simple, practical, step-by-step program for reversing aging. At the heart of the book are ten steps, each of which is supported by three daily actions. Learn how to maintain a youthful mind, cultivate flexibility, reawaken sexual energy, strengthen your immune system, nourish your body, change your perceptions, and enjoy restful awareness and restful sleep.